ITS anyone's guess what the good ladies who founded the Carmelite Convent in San Juan in Puerto Rico a-near 360 years ago, would make of their old one-time digs today. Gone are the tiny celibate cells in which they spent long and solitary days in prayer or meditation, gone are the thin straw palliasses on which they fitfully sought sleep through steamy Caribbean nights, and gone are mealtimes of porridge or gruel or root vegetable stews in keeping with their vows of poverty. Or amongst a score of dinner options, the Caribbean's highly popular Puerto Rico Mofongo: fried green plantains seasoned with garlic, olive oil and pork crackling, all mashed and filled with chicken, steak or shrimp. Or for more simple pleasures, multitude tapas or a half-pound (226gm) Classic Burger with the lot. And in what was once a private room of the Mother Superior, nightly pre-dinner wine and cheese tastings for guests fortunate enough to stay here, with reds and whites splashed with gusto into voluminous crystal glasses … for an hour or so, for free, with great slabs of cheeses and dried fruits to go with it. The old Carmelite Convent, as we quickly learned on a recent visit, has undergone somewhat of a transformation from its religious heyday: it's now one of the world's finest small hotels, with a history as captivating as any tale out of the Caribbean. San Juan itself was established by the Spanish in 1521 as a stop-over between homeland and America. They built a garrison against their French, Dutch and English enemies, and with constant wars with all this lot, the number of widows on the island was considerable. So one, Dona Ana de Lansos y Menendez de Valdez asked the King of Spain to build a convent for widows and single ladies wishing to serve the church. 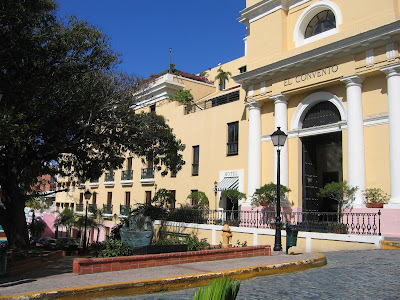 When he agreed, and with her own personal wealth, Dona Ana donated her home opposite the San Juan Cathedral as a site for the Convent. Spanish soldiers were assigned to build it, and strongly enough to withstand assaults by local Indians, Spain's European enemies, hurricanes, and the tropical heat: its sun-baked clay-brick walls were made a metre thick. In 1651 Dona Ana, her sister Antonia and four protégés were the first to enter the Convent, with Dona Ana as Mother Superior; the Convent served its role well for 252 years until in 1903 it was decided that maintenance was now too costly, and with only nine nuns and two novices in residence, it was closed. The building lay empty for a decade and was eventually sold for a mere US$151 by the Carmelite Order to the local Catholic Diocese, which rented it out as a retail store, then a dance hall, and for 40 years as a flophouse for the homeless. Worse, in 1953 it became a storage yard for garbage trucks until it was decided to demolish it to make way for a public parking station. 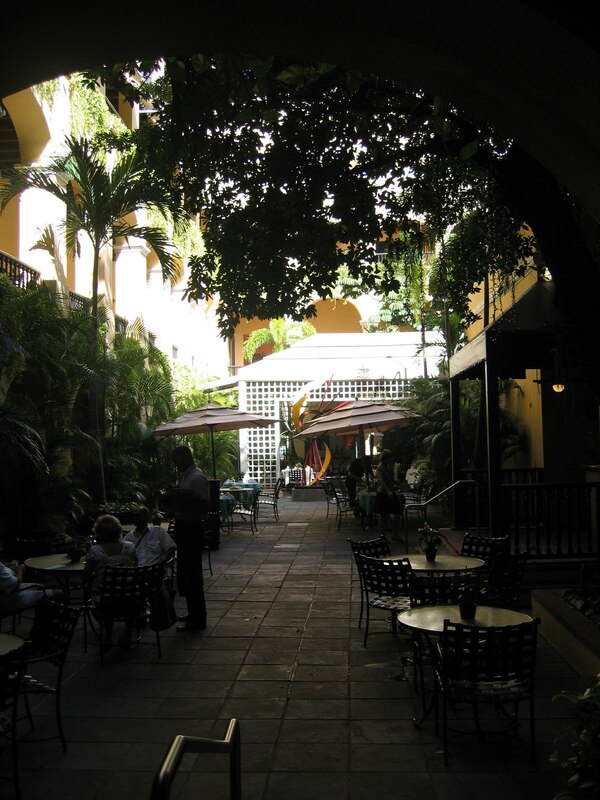 Enter Robert Frederic Woolworth – heir to the Woolworth fortune – who was so aghast at the prospect of the historic old Convent's fate, that he bought it from the church for $250,000, engaged a team of architects and builders and turned it into a boutique hotel he would call The El Convento. NEXT WEEK: Creating a unique hotel with dedication, a "no expense spared" philosophy – and a band of gypsies.